The SIMtrace hardware is a device that is placed in between the mobile phone and the SIM/USIM card. SIMtrace can operate in various baudrates and will automatically follow whatever the phone and SIM card negotiate. It supports GSM SIM as well as UMTS USIM specifications. The SIMtrace hardware can be purchased from our webshop. Support as well as R&D services can be purchased optionally from sysmocom. 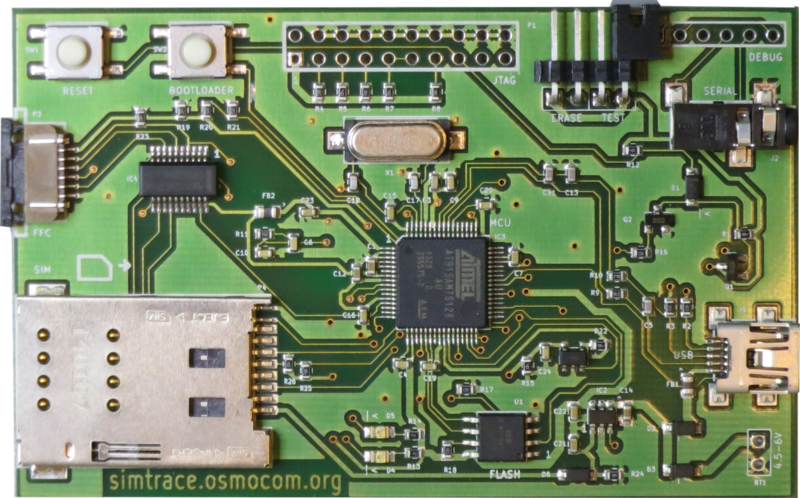 The firmware hand host PC software (Linux) of the SIMtrace hardware is available under a Free Software / Open Source Software and can thus be modified by the user.